Brand: 4classic. Code NFZ: L.047.00. 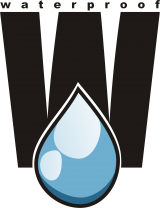 Code UNSPSC: 42241807. Code UMDNS: 16210. Ulnar collateral ligament (UCL) injury, also known as skier’s thumb, is one of the most common type of injury of the thumb. The condition is caused by excessive abduction and hyperextension of the first carpometacarpal joint, also known as the trapeziometacarpal joint (TMC). 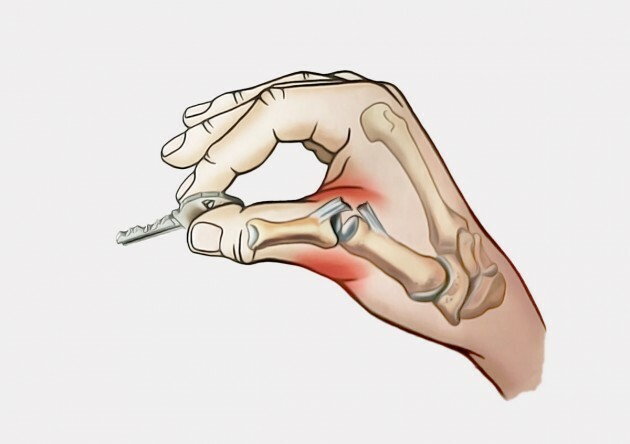 Symptoms of skier’s thumb are instability of the MCP joint of the thumb, accompanied by pain and weakness of the pincer grasp that allows holding a small objects between the distal pads of the opposed thumb and index or middle finger. 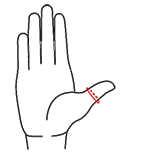 Next, your thumb should be protected in sport daily activities even for 12 months after injury! To this purpose our thumb and wrist compression brace AM-SP-04 will be excellent. 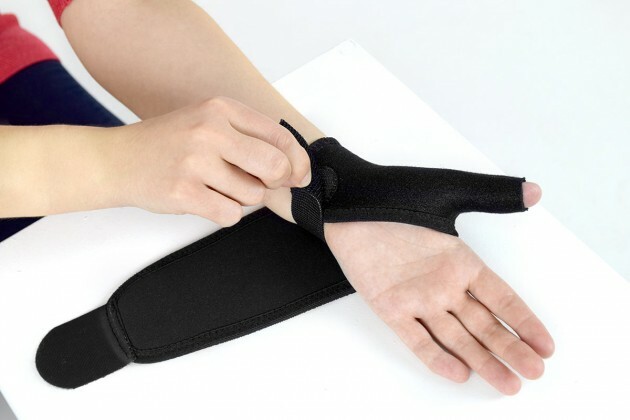 APPLICATION OF AM-SP-04 THUMB AND WRIST COMPRESSION BRACE IS RECOMMENDED FOR PREVENTION AGAINST THE INJURY. 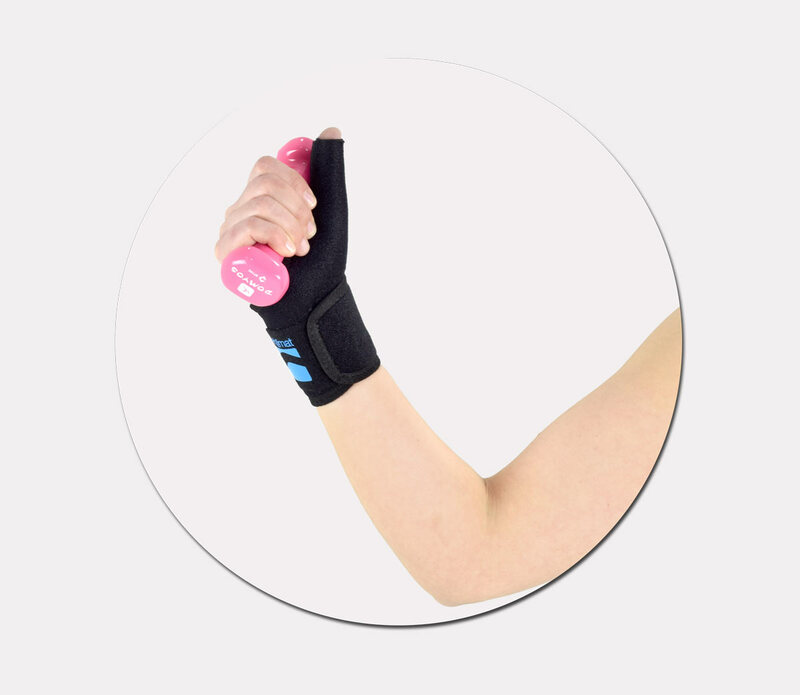 THE BRACE IS NOT EQUIPPED WITH RIGID ELEMENTS AND DON’T WEAKEN YOUR MUSCLES AND SOFT TISSUES. THE BRACE SHOULD BE APPLIED IN SPORT AND PHYSICAL ACTIVITIES EVEN FOR 12 MONTHS AFTER IMMOBILIZATION! THE BRACE SHOULD BE APPLIED IN SPORT AND PHYSICAL ACTIVITIES EVEN FOR 5-6 MONTHS AFTER SURGEY AND IMMOBILIZATION! 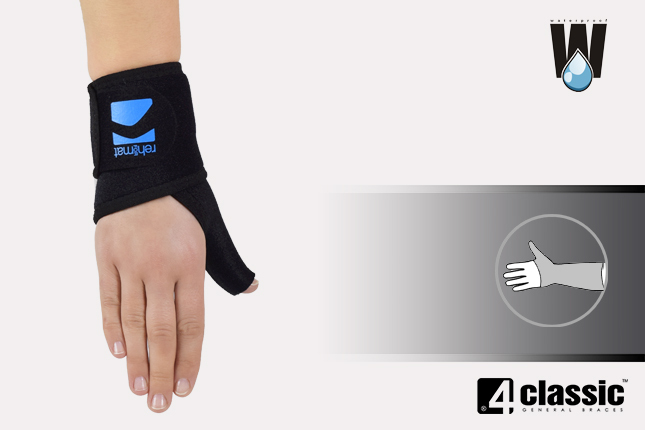 AM-SP-04 thumb and wrist compression brace belongs to 4classic group and it’s made of innovative UniPren. It is universal 3-layered fabric made of external elastic polyamide self-gripping layer and internal neoprene foam with elastic jersey. 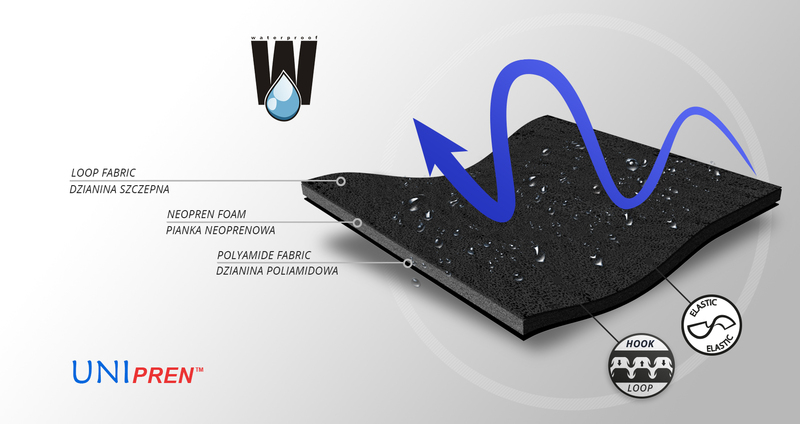 Our fabric is soft and elastic and not knitted, what prevents skin against the skin abrasions in the compression zones. 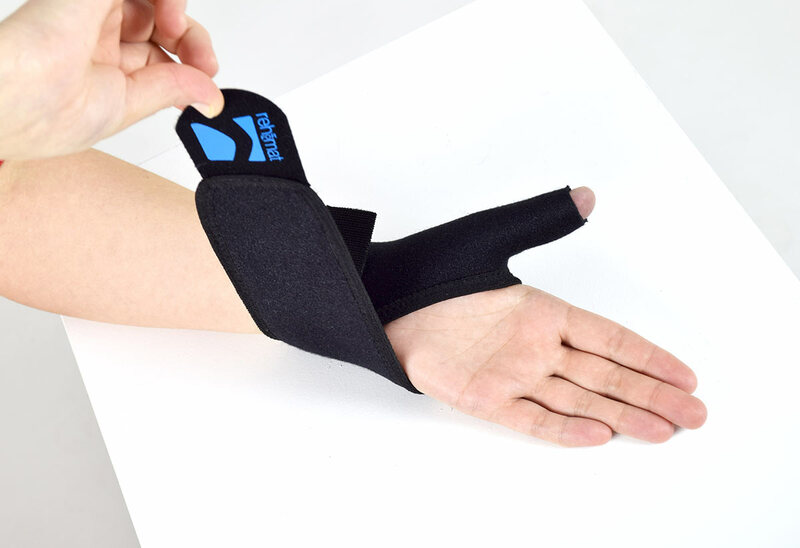 Self-gripping function of UniPren allows to fit the brace precisely. 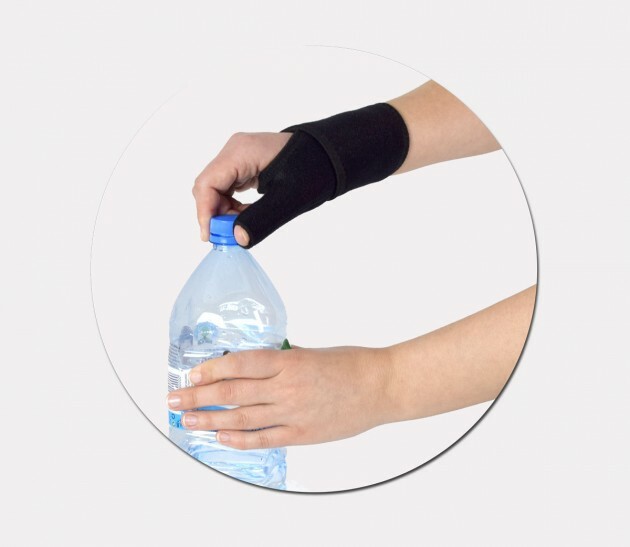 AM-SP-04 thumb and wrist brace is waterproof and can be used in water and it’s easy to maintain. 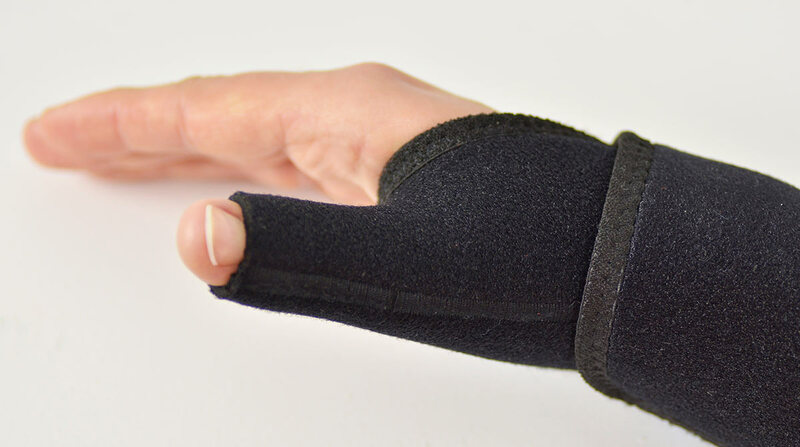 The brace is wrap around designed, anatomic-shaped and easy to putting it on. There is elastic thumb sleeve and universal Velcro strap. 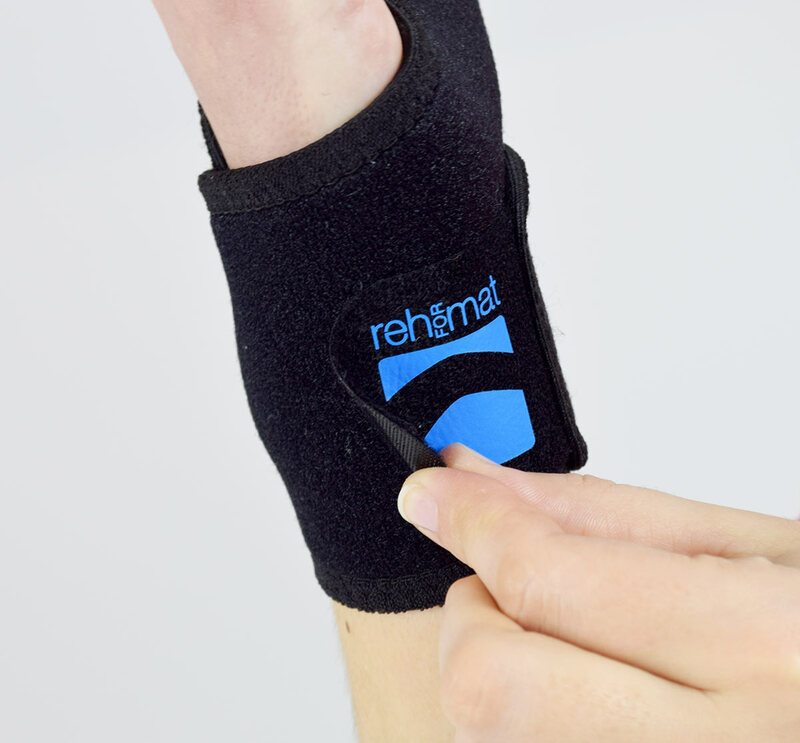 Additional internal patient assist strap allows to putting the brace only with one hand! 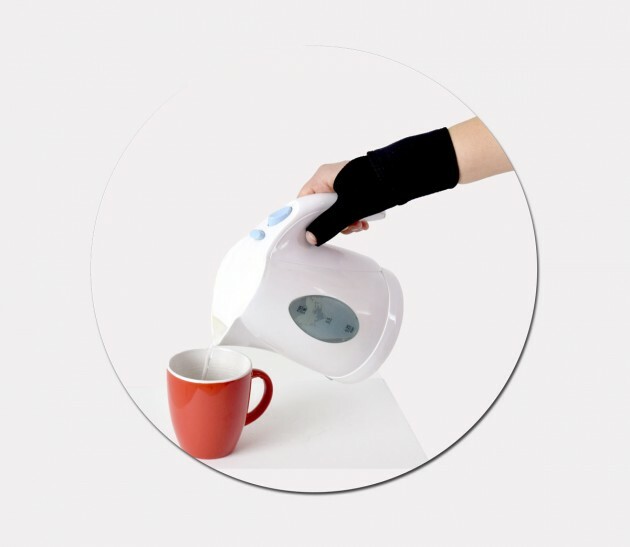 AM-SP-04 thumb and wrist brace provides stabilization of the first carpometacarpal (CMC) and wrist joint. The brace isn’t equipped with internal rigid elements and due to this fact don’t limit the range of motion of the thumb and can be used in sport trainings and physical activities.